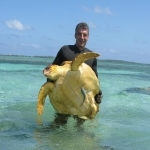 Guest post from Nicholas Higgs at the University of Plymouth. Thanks Nick! 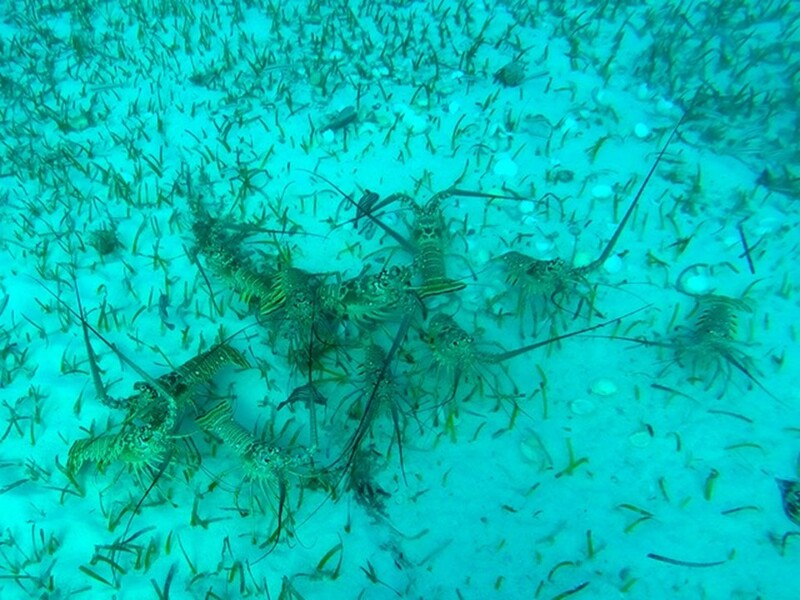 New research by Bahamian marine scientist Dr Nick Higgs and colleagues has shown that Caribbean spiny lobsters (aka crawfish) get a big chunk of their food from an unusual source. The lobsters hunt down a particular species of clam in seagrass beds that get their energy from chemosynthesis. 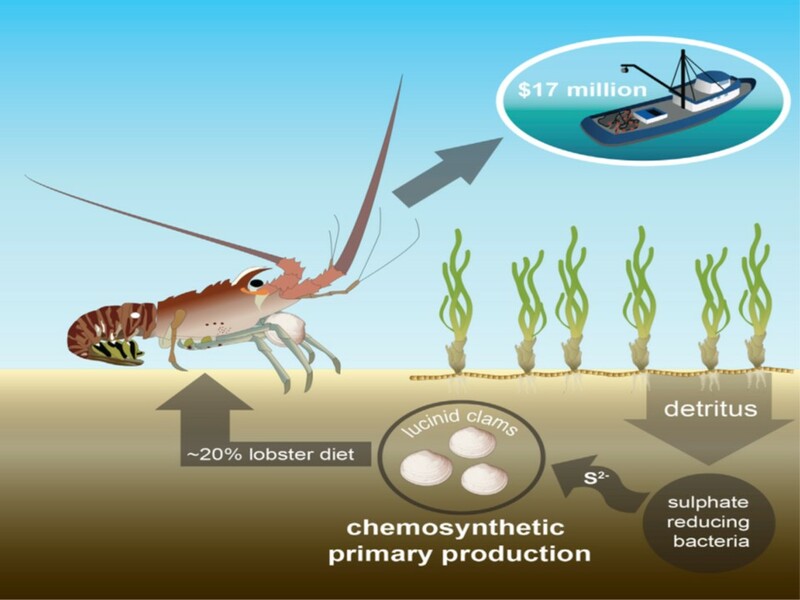 This helps explain how lobsters thrive at artificial shelters (condos) that are put down by fishermen in the seagrass beds. Chemosynthesis is the biological production of new organic matter using energy from chemicals in the environment rather than energy from sunlight (photosynthesis). Microbes are the only organisms capable of this alternative form of food production, but some specialized animals have formed partnerships with chemosynthetic microbes to produce their food. Lucinid clams are one such group and are particularly abundant in tropical seagrass beds, where they are a major food source for the lobsters. Higgs, ND et al. (2016) Caribbean Spiny Lobster Fishery Is Underpinned by Trophic Subsidies from Chemosynthetic Primary Production. Current Biology, 26:3393-3398.